The Sony ICF-5900W portable receiver covers AM, FM 76-108 MHz and shortwave in three bands: 3.9-10, 11.7-20 and 20 - 28 MHz. This quality, dual conversion receiver features a built in crystal calibrator for improved frequency accuracy plus separate bass and treble controls. 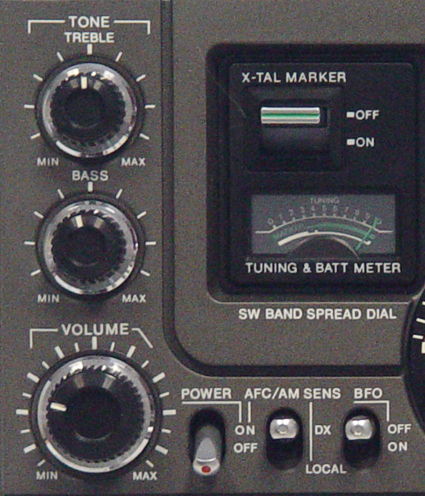 There is also a meter for tuning/battery. 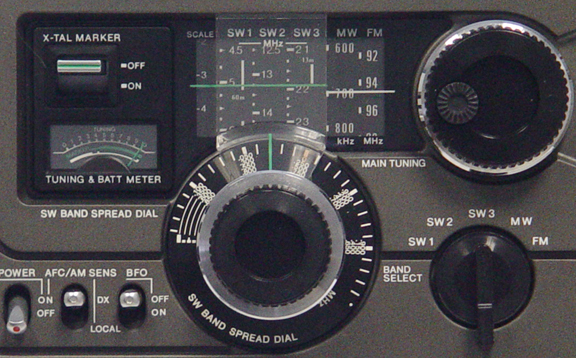 A BFO facilitates reception of SSB and Morse code. The rear panel has antenna terminals. 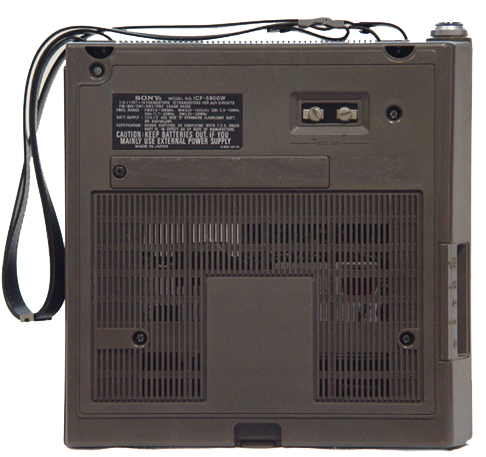 Operation is from three C cells (not supplied), or external 4.5 VDC or supplied AC-110 AC adapter. There are output jacks for multiplex, headphones and for tape recorder. 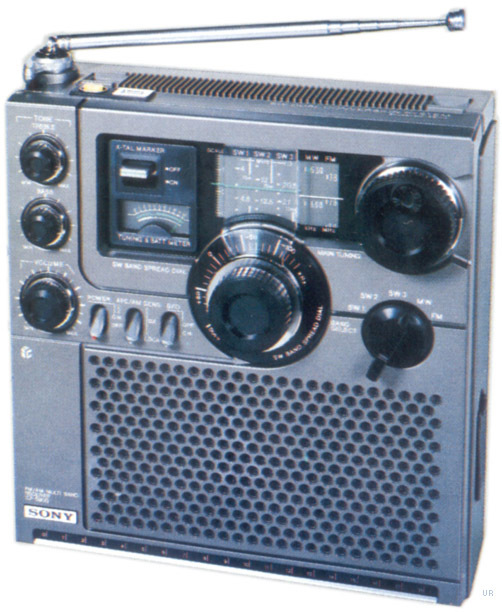 There is also an external timer input jack for activation of the radio from an external timer. 8.75 x 9.25 x 4 inches. Copyright 2008-2010 Universal Radio, Inc.